Project manager: Ing. Václav Kvičera, CSc. 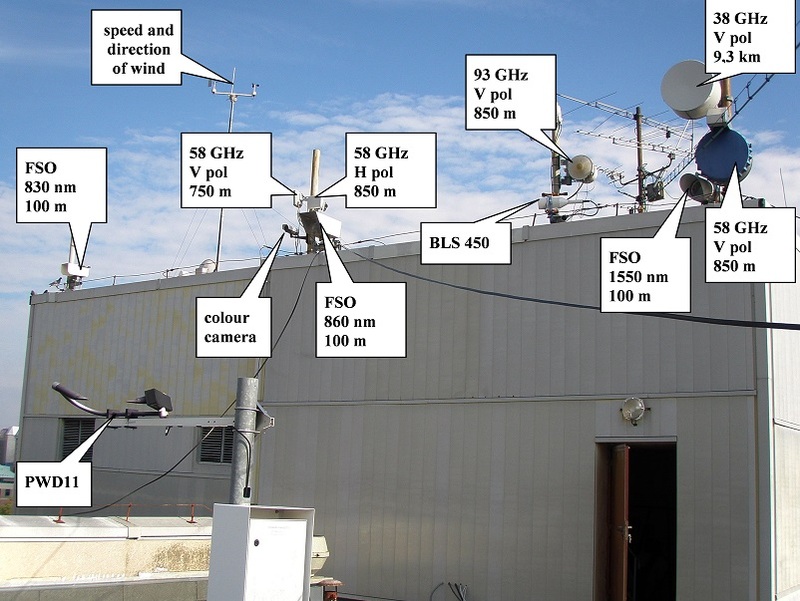 The influence of the real tropospheric environment on the characteristics of both optical and radio terrestrial links was examined. The research was based on results of complex measurements of optical, radio and meteorological parameters. Experimental research of electromagnetic wave propagation was carried out on terrestrial radio links working at 58 GHz and 93 GHz and optical links at 850 nm and 1 550 nm. Meteorological parameters such as atmospheric visibility, liquid water content of fog, integrated particle areas in fog and rain intensities were measured. The obtained statistical distributions and dynamic characteristics were available for modelling in the frame of the WG3 working party of the international scientific cooperation COST IC0802. 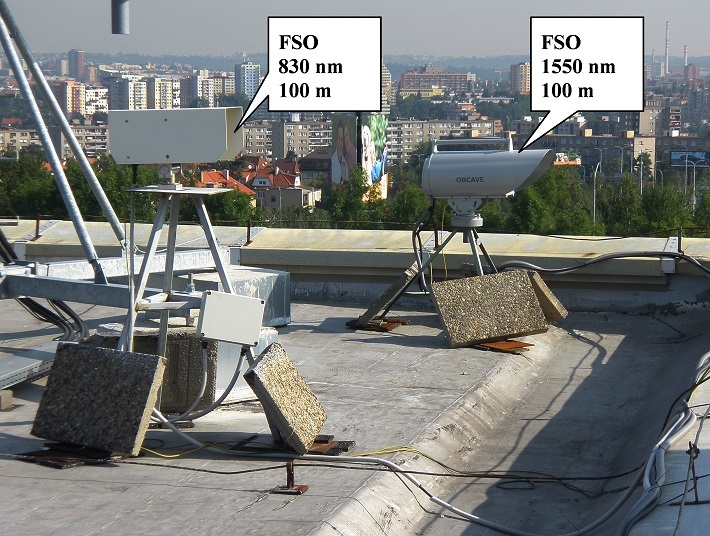 Dependences of the availability performances of both optical and radio links on the real atmospheric parameters such as fog, rain, snow and other hydrometeors were studied. Results obtained were compared with a few current models that parameters were specified. New model describing optical and radio terrestrial wireless channel was designed. Frequency diversity was studied to mitigate the adverse propagation conditions. Seven contributions for Management Committee meeting were created during the project in the frame of the international cooperation COST Action IC0802. Moreover, 22 papers for significant international conferences, 12 paper for impacted scientific journals and 2 contributions for Study Group 3 of the Radiocommunication Sector of International Telecommunication Union were published. The Institute provides services in all major categories of the fundamental and legal metrology. Department of frequency engineering deals with frequency planning, international coordination of TV and radio networks, microwave links, point-to-multipoint systems, analysis of signal coverage and the interference in radio-communication networks, calculation and study of electromagnetic compatibility of radio-communication services, analysis of the air navigation by VKV FM transmitters, the spectrum utilization in the Czech Republic in the framework of European Conference of Postal and Telecommunications Administrations and International Telecommunication Union, consultancy, research in the relevant field, research of the electromagnetic waves propagation in microwave and optical bands. What would you name as main benefits of the project to you an your company? Experimental radio and optical device used during the project. Experimental optical devices used during the project. Co-financed by the Ministry of Education, Youth and Sports within INTER-EXCELLENCE programme (project LTI18019).